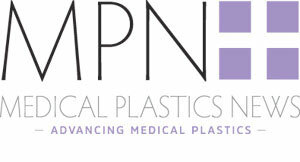 The continuous growth of minimally invasive surgical procedures, the increasing demand of high precision medical devices and the latest advanced manufacturing technological developments are leading towards a new trend of small and precise silicone components manufactured under new micro-techniques that conventional injection moulding processes are unable to achieve. Silicone micromoulded components are increasingly used in minimally invasive surgical devices, in small and precise fluid control activities (valves, septums and seals), in devices fitted with microsensors, in precision overmoulding operations and in many components in general designed with challenging geometries or with high precision requirements. “In Cikautxo Medical, for a high quality mass production manufacturing of technically complex silicone micro injected components, we pay special attention to the following manufacturing key aspects” says Iker Principe, CEO in Cikautxo Medical, the medical division of Cikautxo Group. Extremely accurate silicone parameters with repetitive formulations and stability over the time and over different batches are required from advanced liquid silicone suppliers to minimize potential variations in the part manufacturing process. Incoming inspections and testing are regularly made to raw materials by our silicone experts in our internal Cikatek laboratory. Only high skilled and selected technicians are capable of defining and setting up the LSR injection moulding processes using parametrical profiles for a proper cavity load and control over the production run. Those parametrical profiles are created matching the best injection parameter combinations and defining an area where the parts produced meet the quality requirements. Any injection cycle outside this area will lead to an automatic refusal of the cycle so that the quality can be automatically assured. Silicone micro-moulded components are manufactured with flashless concept. This statement implies a high precision tool conception combined with a cold runner technology and a needle valve gate system where dossing precision becomes crucial. A high volume mass production project requires a high number of cavities tool, normally 32 or 64. In those cases, each tool needs to be perfectly machined and correctly balanced, making the set up and complexity of the mold growing at an exponential level. Micromoulded parts have to be extracted from the tool and handled fully automatically due to its extremely low dimensions. This implies robotic arms, vacuum systems and integrated quality controls, normally artificial vision systems. Slicone micromoulded parts in high production outputs are ideal for a big data quality management method, where statistics of all production parameters can be used for predictive maintenance actions. “As a resume, LSR micro moulded components require specific machinery, highly skilled operators, high precision tooling, full automation along the whole process and an efficient automated control. In addition, a holistic approach across all the added value chain is well recommended during the engineering, simulation, prototyping and validation stages. Finally, a very solid expertise in high quality mass production of silicone injection moulding components is required in order to guarantee the highly demanding level of precision and quality that those components require”, says Principe.